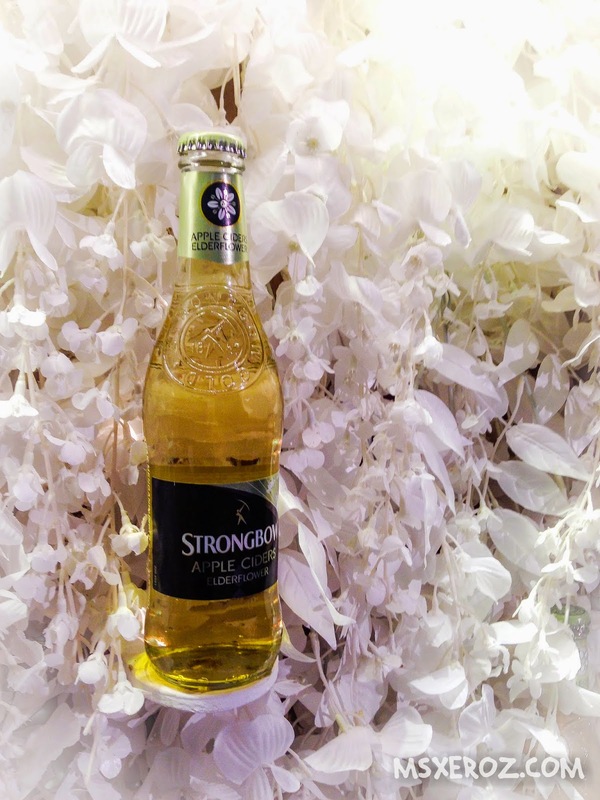 Have you ever tried Strongbow? 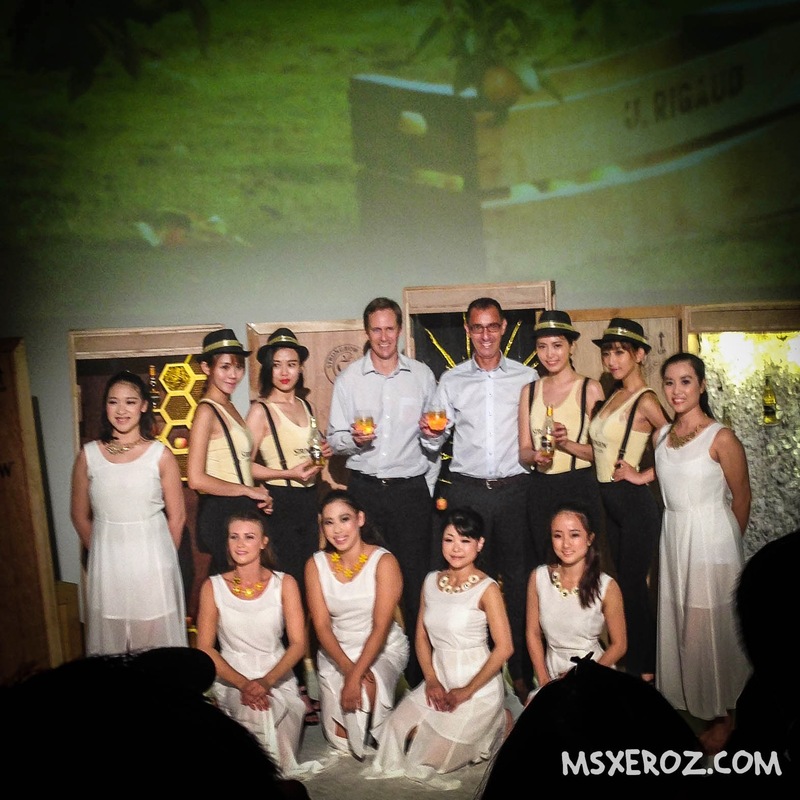 The number one global cider brand? 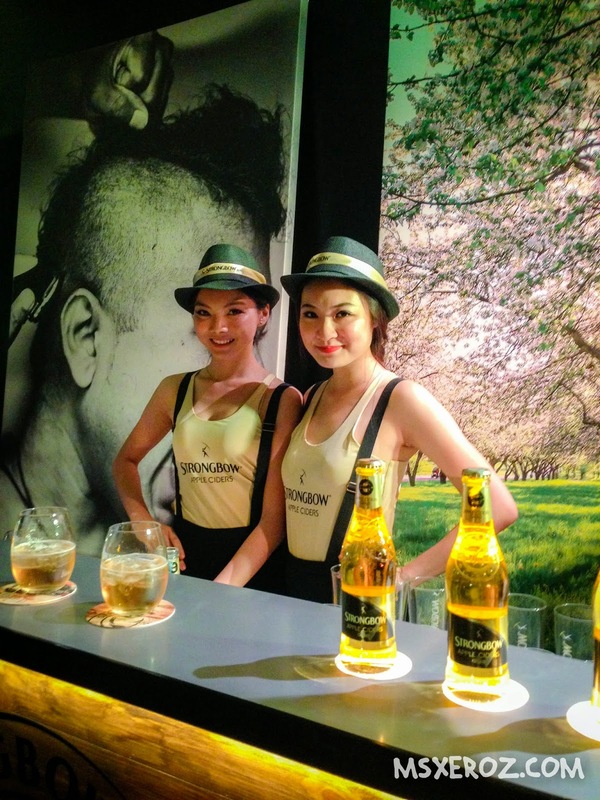 I had my first taste of Strongbow during my recent getaway to Sarawak. It was love at first taste! 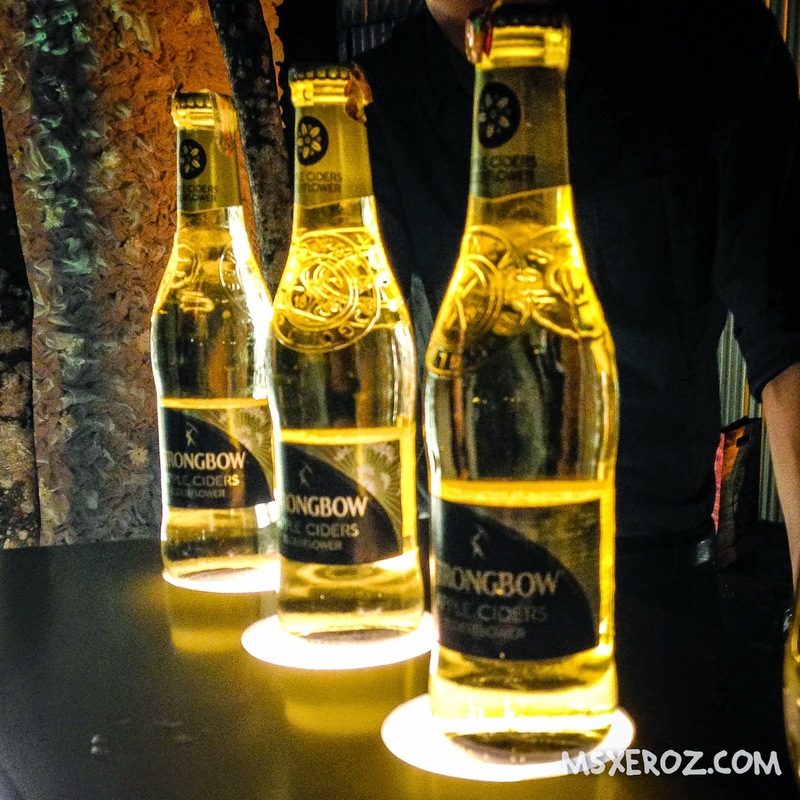 Then when I come back, I received an invite for Strongbow launching of three crazy new flavours, I couldn't resist! 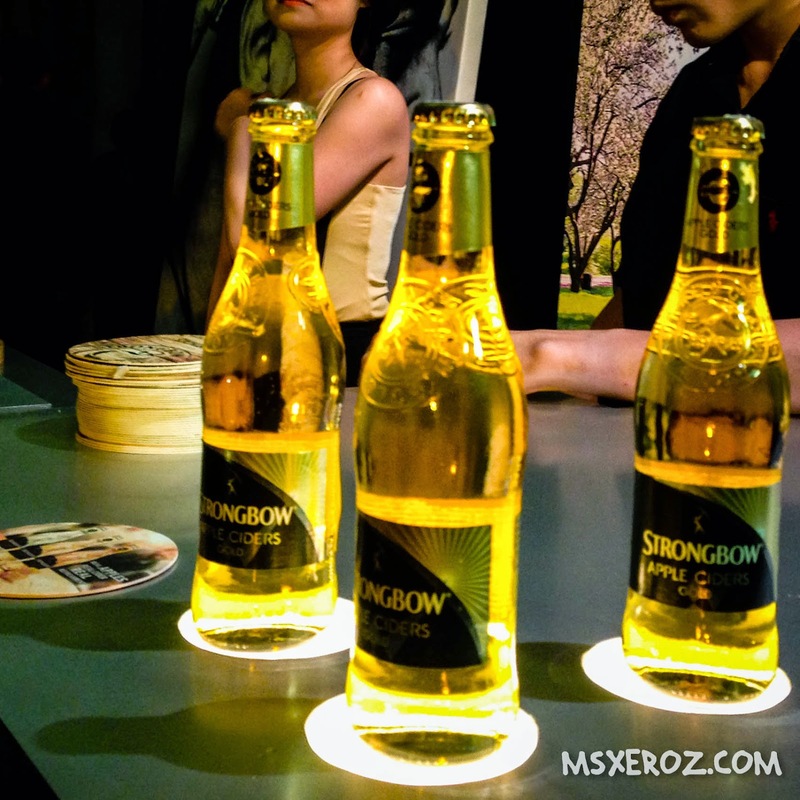 I was really curious, the Strongbow Apple Ciders are already so pleasant, is there something more that they can offer? 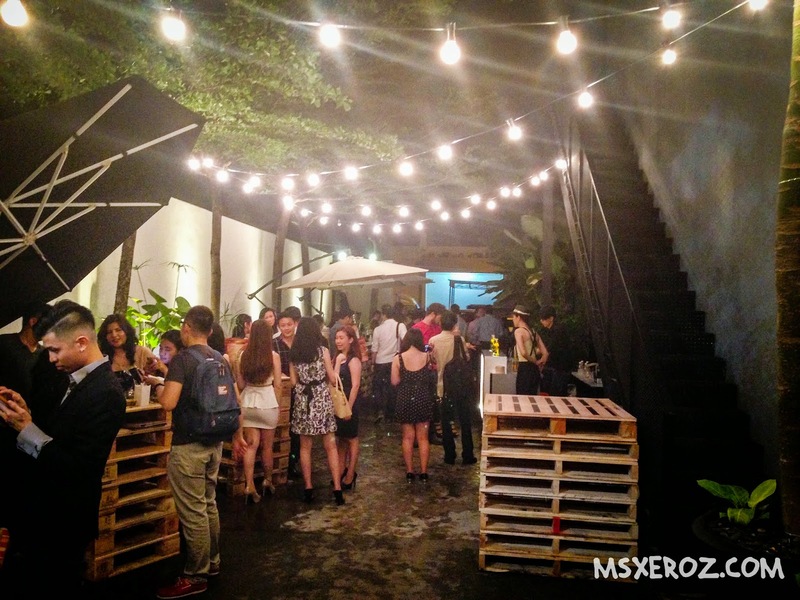 So I head off to 31Square Studio, Damansara for the launching. Homaigod, the small, quant little studio is flooded with crowds of people. Well, this proves that I'm not their only fan. We were being shown videos and performances. However, I was too fat and short to see anything. Nonetheless, I'm getting more and more anxious to see what are the three new flavours! The veils unleashed, and Strongbow three new variants are revealed! 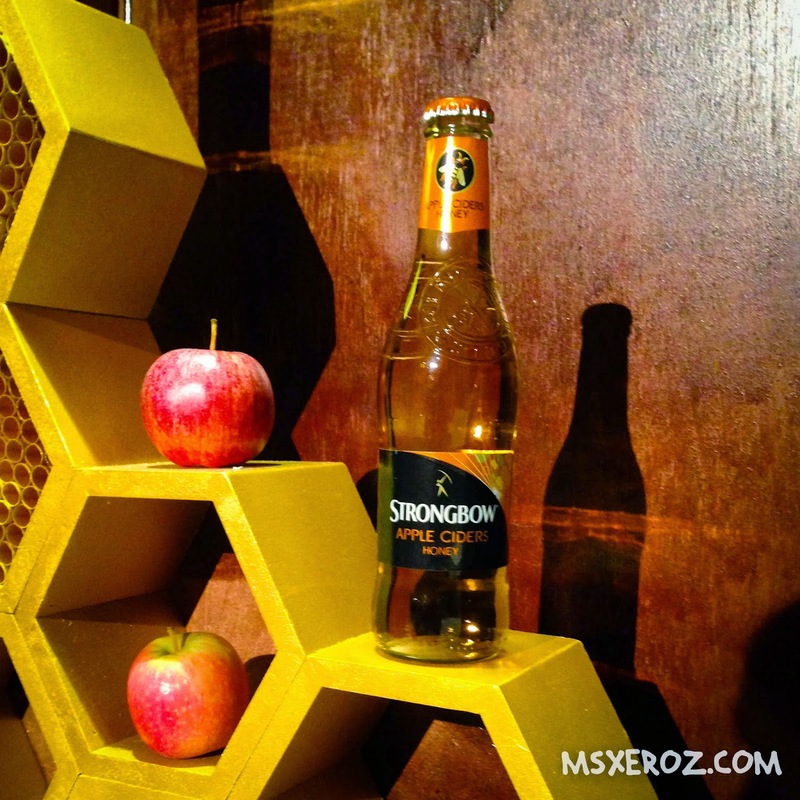 First in line, Strongbow Apple Ciders Honey. What do you think? Can apple and honey be best friends? 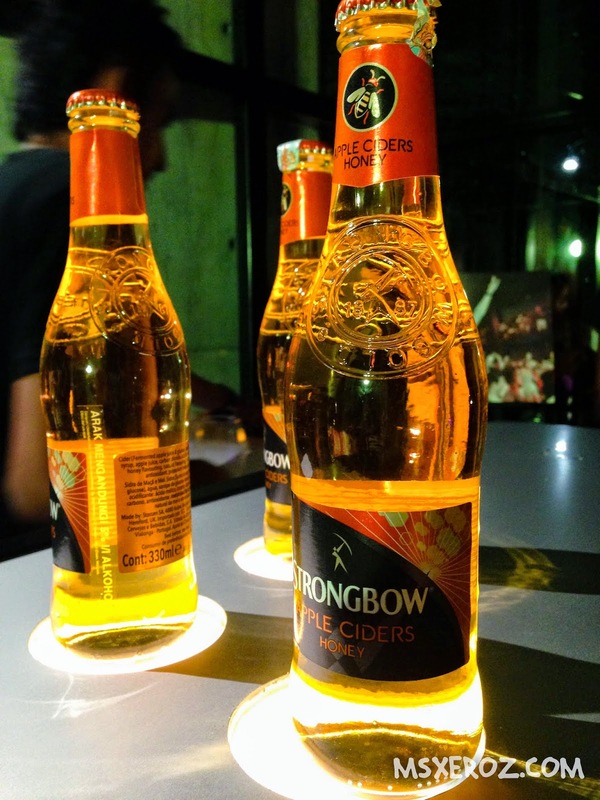 Second in line, Strongbow Apple Ciders Gold. What do you think? Gold is Great? Finally, the third variant, Strongbow Apple Ciders Elderflower. Dare to challenge the Elderflower's power? 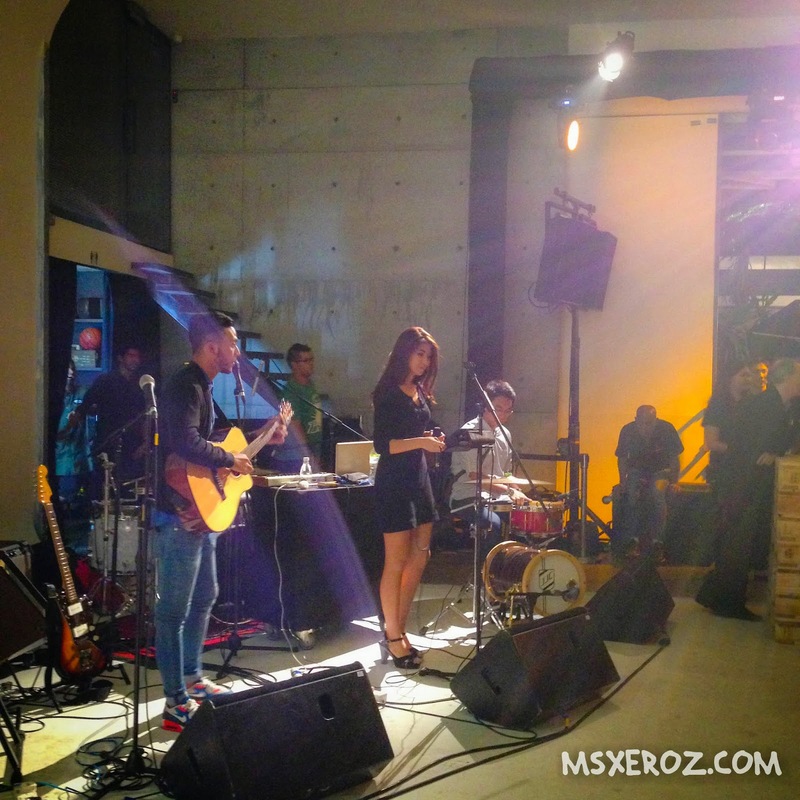 I let the crowd take their choice of Strongbow, while I walked around, listening to the wonderful serenade of songs. I wonder who is this music band. I think their performance is very nice! After warming up, I make my way to get my Strongbow. 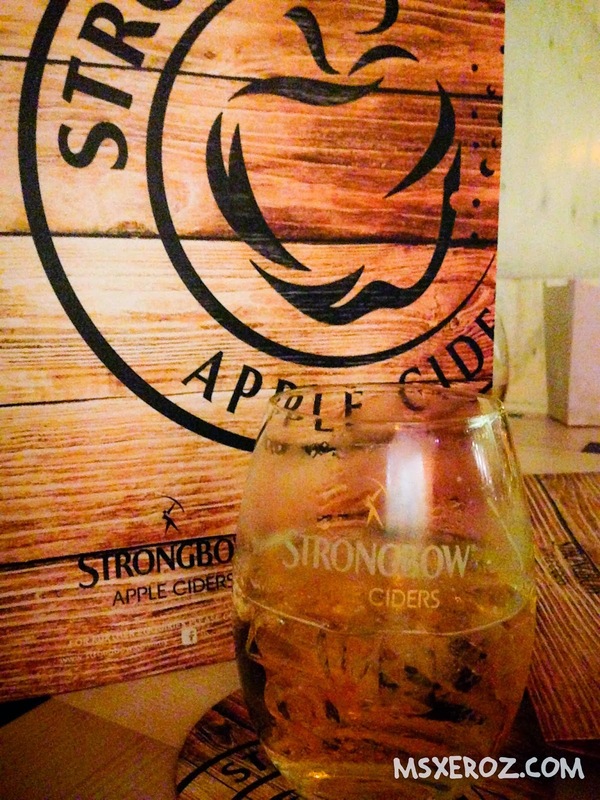 First choice, Strongbow Apple Ciders Honey. I have always enjoyed a warm honey drink, especially during rainy days like this. 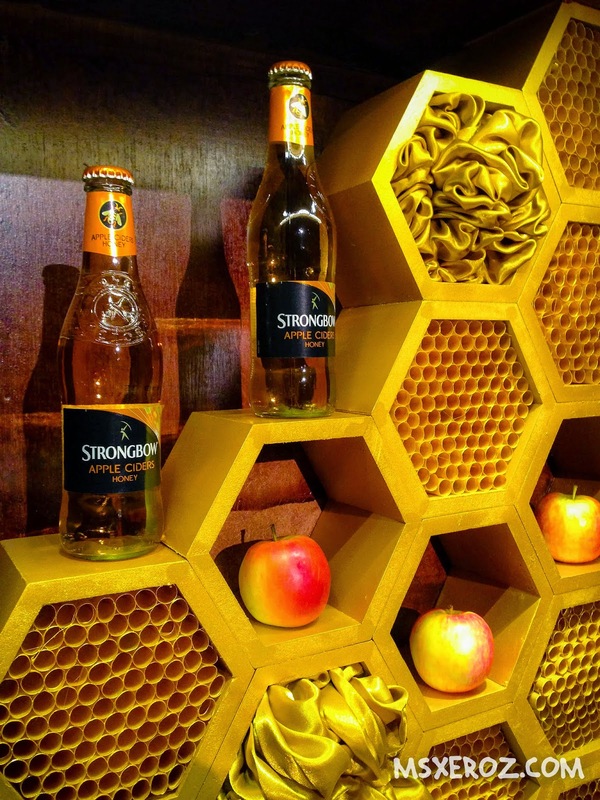 Strongbow Apple Ciders Honey do have a distinctive taste. It differs from the original flavour! Surprisingly, honey and apple can be best of friends. This drink tastes a little sweeter than the original, with the aroma of honey. The taste blended really well. I slurp all down, and head on to my next target! 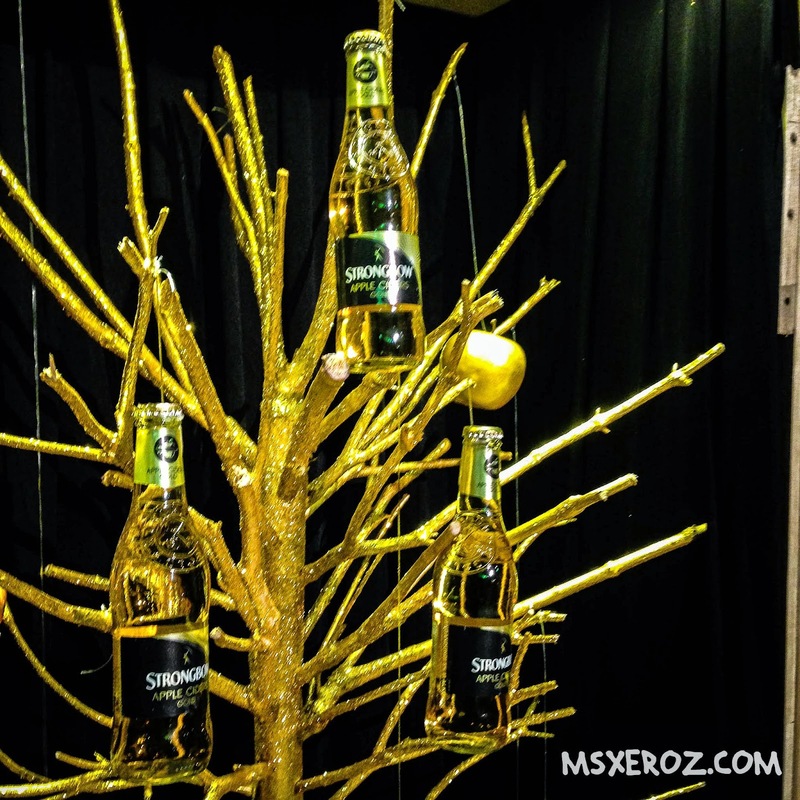 Strongbow Apple Ciders Gold! The moment I took my first sip, I know that this is my new love. The strong, bold taste. It offers a refined sweet and crisps apple bite that captures the light aftertaste of bittersweet apples. This is really tasty! I bumped into Kelvin, and he told me that his favourite is the Elderflower variant. The counter that serves this variant is located outdoor! It was raining heavily that night, and I had to braved the heavy downpour to get my hands on a cup of Strongbow Apple Ciders Elderflower. The Elderflower variant has a subtle elderflower with lime that captures the sweet floral aroma. It is very light, and subtle. Suitable for anyone who prefer something more gentle. My good friend told me, she will begin her night with Strongbow Apple Ciders Gold, and ends it with Strongbow Apple Ciders Elderflower. I couldn't agree more. Both of us, loved the Gold variant & Elderflower variant. Seems like there's a formula of "perfect serve". 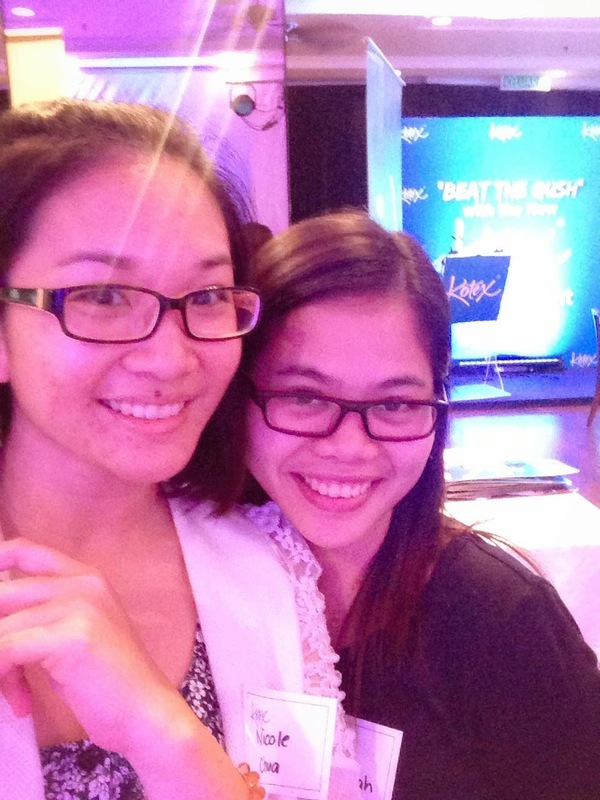 A photo with the emcee Julie Woon is a must! I always have fantastic sleep after a few rounds of beers! 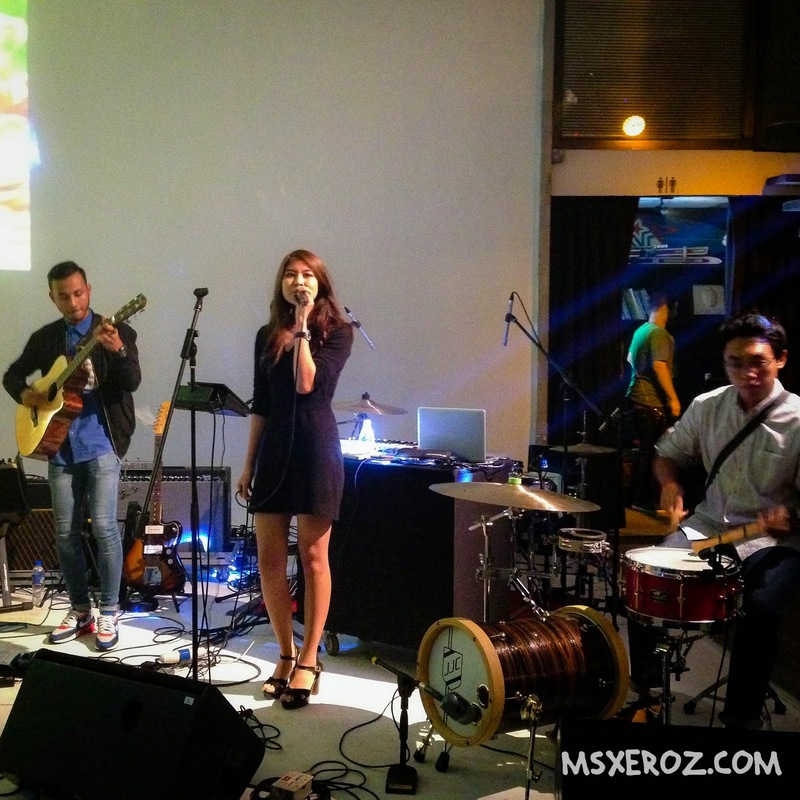 Last Tuesday, I was invited for an event launch. I haven't been very active in this blogging world lately, that is why i felt very honored for every invites that i received. 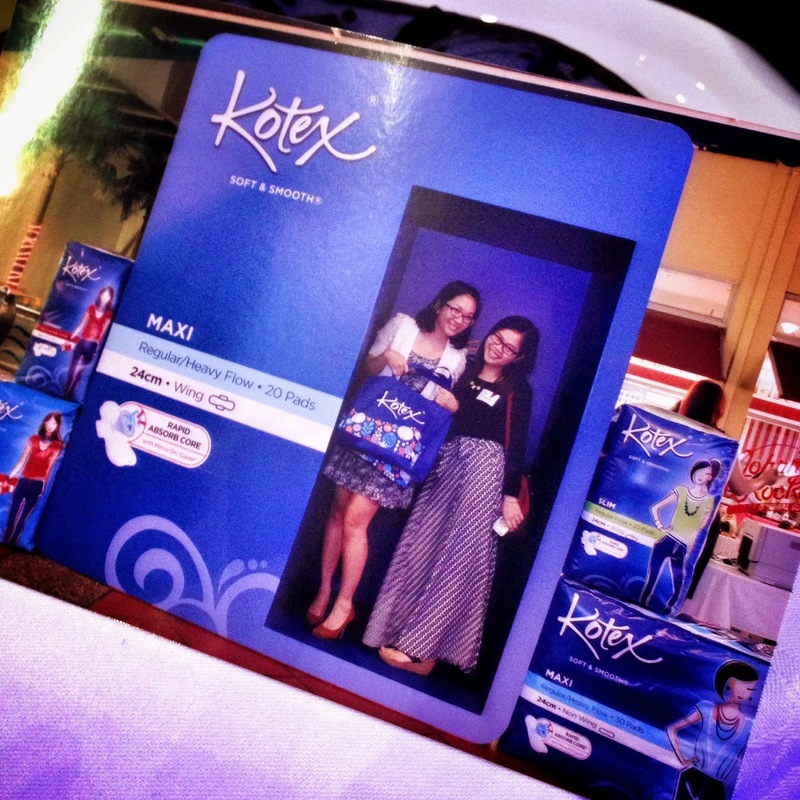 With such, i make some time after work to The Streets @ The Curve for the Kotex Malaysia New Product Launch. 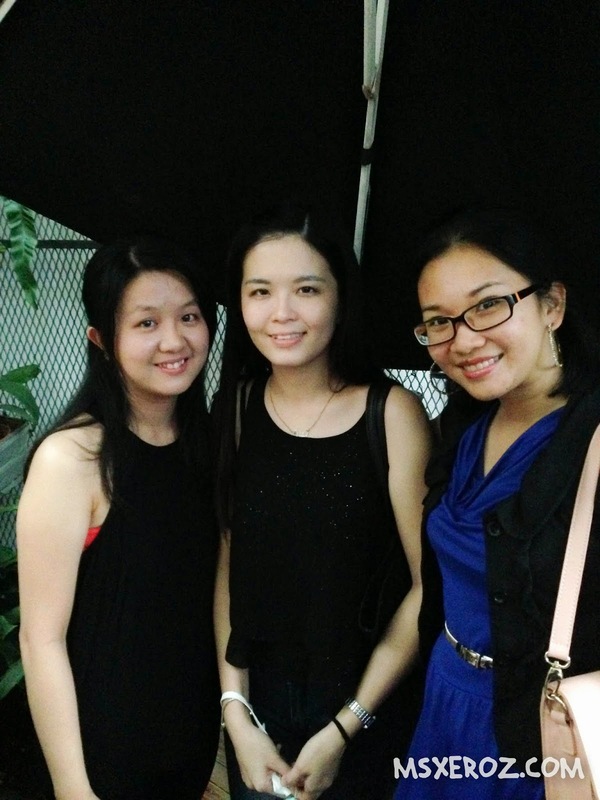 I managed to persuade Zue, my colleague, to accompany me. I asked her "Hey Zue, do you use Kotex?" She said "ya". "Zue, wanna go Kotex Event with me?" hahaha.. wow, such a cliche invitation that I gave that evening. Well, we made it through before the evening jam kicks in. 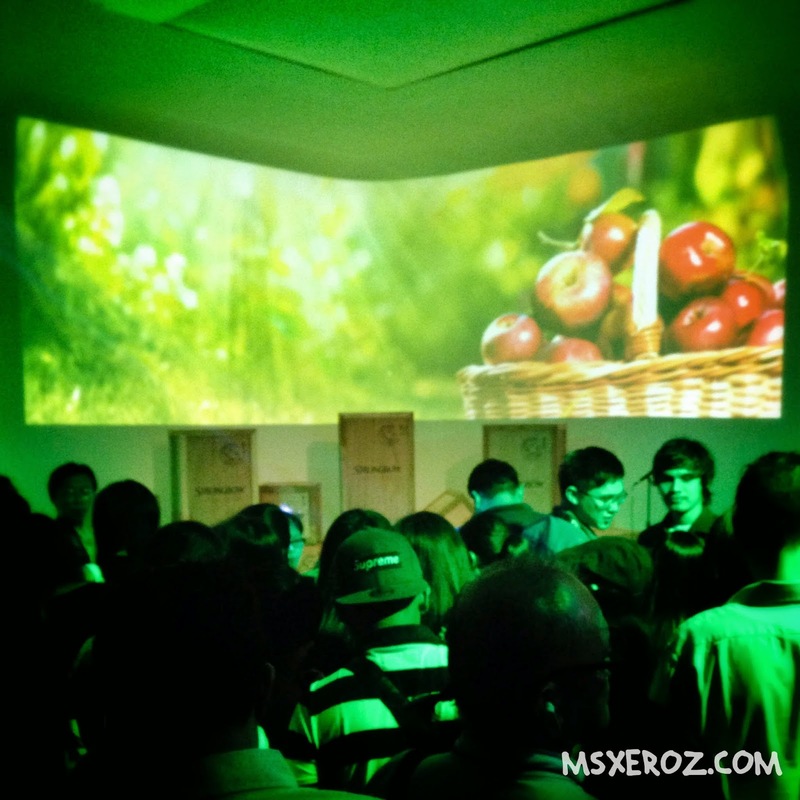 I am still in vague over the new product launch, which was going to be launched. 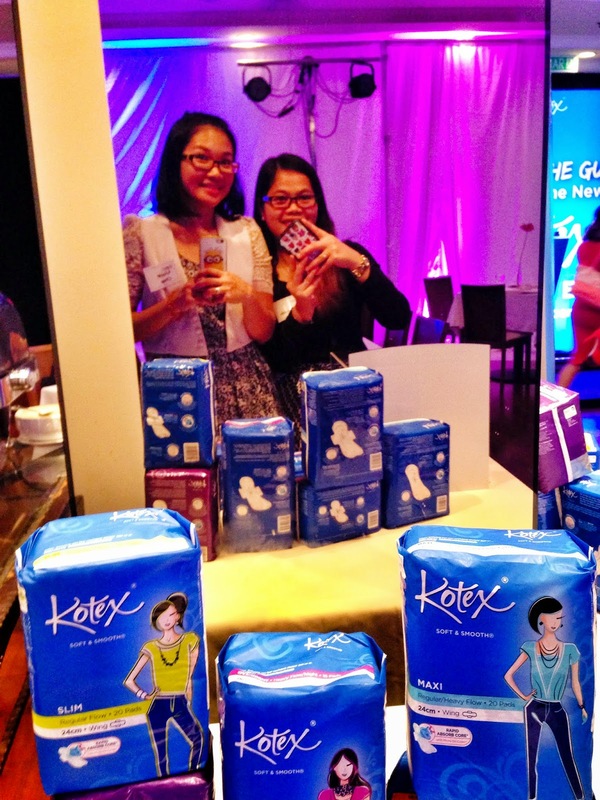 Instead of the ordinary event, this event was filled with photography props - Glam Cam 360.
and a large Kotex for us to pose with. Hahaha... the reason was there was an ongoing Instagram contest, best photo will win mystery prizes. So of course, while I'm early, I try to capture as many photos as I can. Tadaaa.... Walked in and the hall is filled with a stage. hmm.. Beat The Gush, what is it yah? 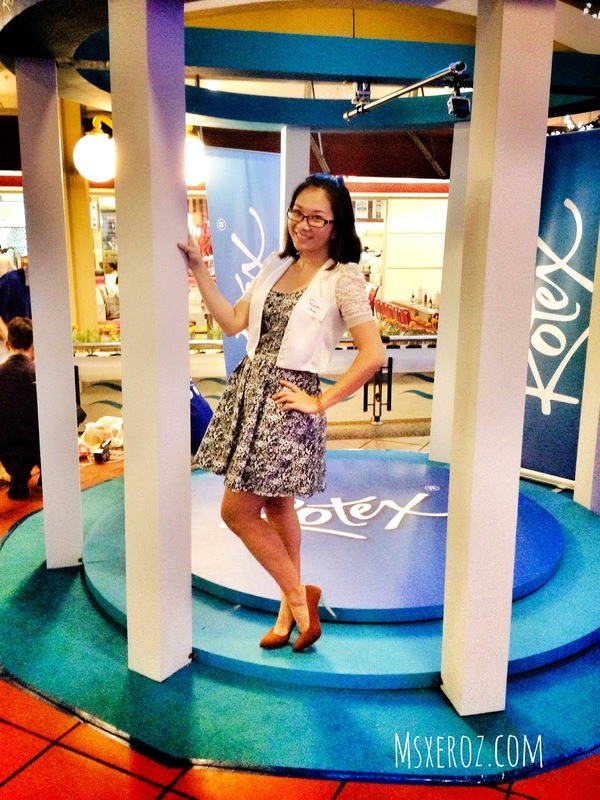 While we were hanging out, we were given the photos being taken earlier..sweet! 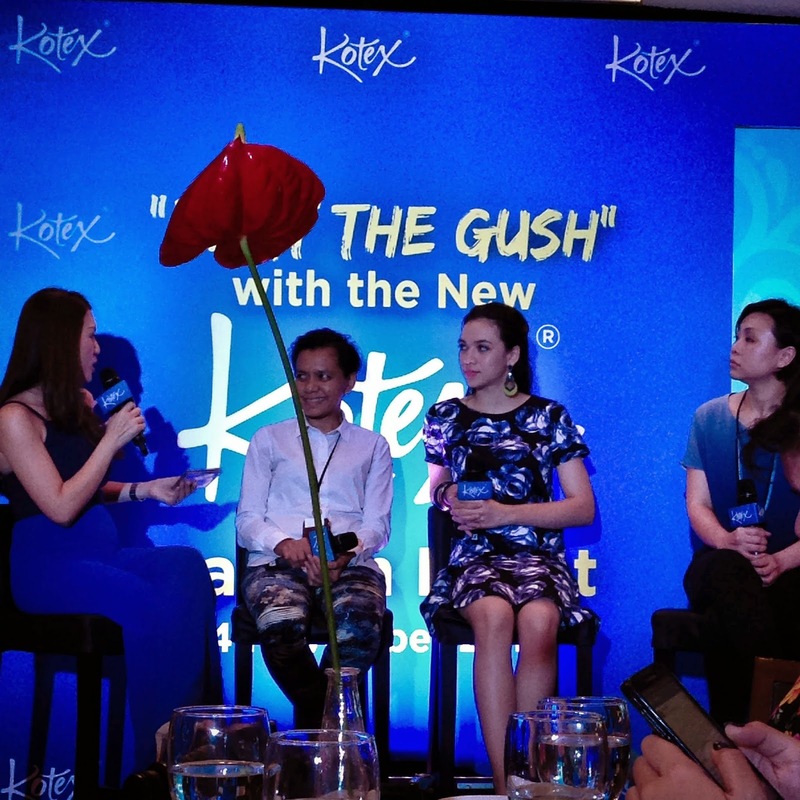 The event began and a sketch was being presented to make us understand what "Beat The Gush" means. 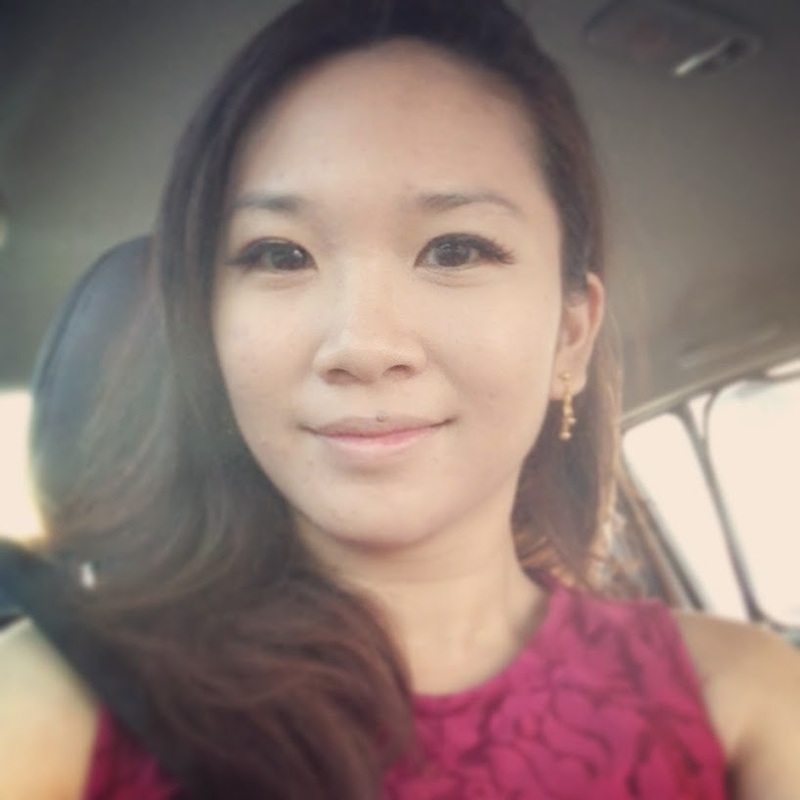 Sudden gushes, often happens during our menses. It is the awkward feeling that we experienced when sudden flow of blood being ejected out. Most often, the sanitary pads that we used, are not able to handle the gushes, hence, a leak happen. Leak, is women's most dreaded thing to happen. I have this almost every month! *rolls eye* It is so often that I got immune to it. I try to change my sanitary pads everytime I feel the gush happens. #truestory. This is how messed up life can be during bad period days! 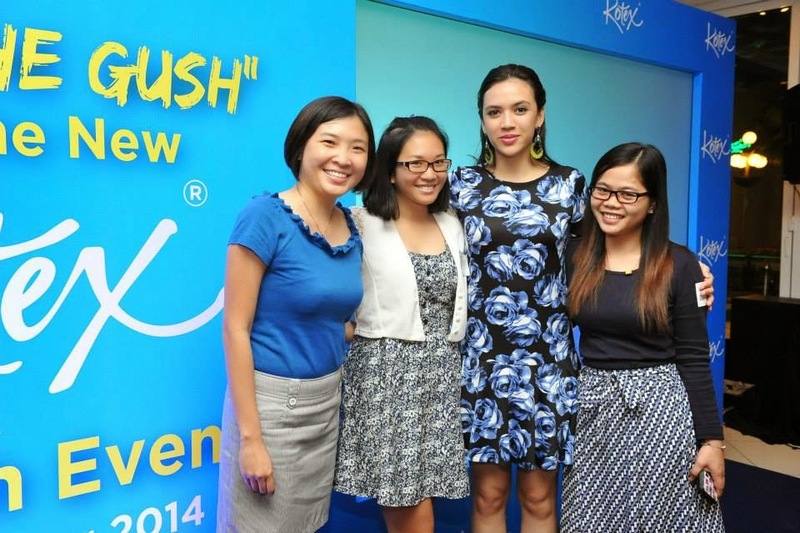 That evening, Kotex Malaysia invited two inspiring ladies, Ms. Abby Latiff, programme Director of WOMEN:girls, and celebrity Diana Danielle, to share their stories about "Beat The Gush". It was hilarious to learn that they are also ordinary women despite a more hectic and colourful life. Everyone experience the "leak" from sudden gushes at some point of their life. Well, I believe that we have one less thing to worry about in future, no more "leaks", i hope. 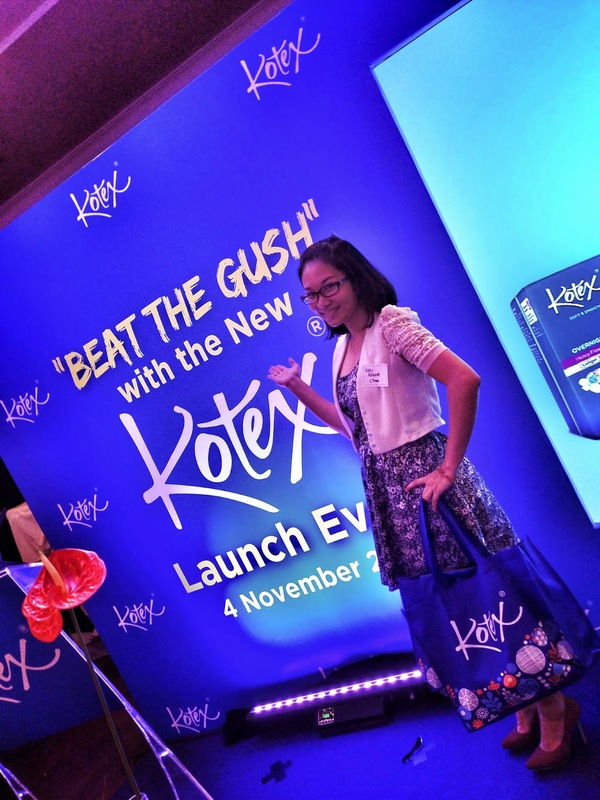 Kotex Malaysia has launched a new and improved Kotex Soft & Smooth. The all new Kotex Soft & Smooth has exceptional features that help protect against sudden gushes, overcoming the anxiety women feel during the unexpected and uncontrollable heavy flow. Micro-Dri Cover with more than 3,000 micro holes for fast and effective absorption. Infinity Lock System, with side barriers and deep channels, providing all round protection against leak. With all these features packed in the ever-reliable Kotex Soft and Smooth, women have no reasons to feel insecure, uncomfortable and unhapy anymore! After the wonderful sharing session, we have some lucky draw. Most of us went home as the lucky winners! 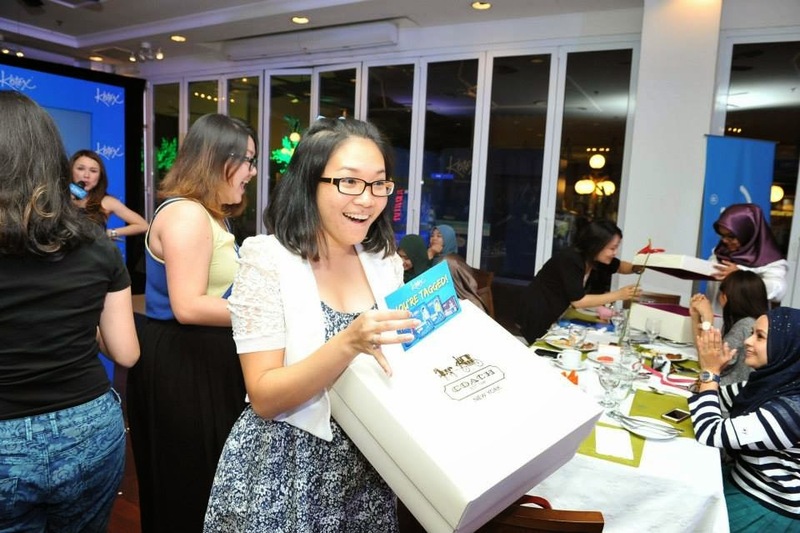 I was expecting to win one year supply of Kotex Soft & Smooth, which I'm very happy to accept. Instead, we received Coach bags! WOW! Look at all the happy faces here! 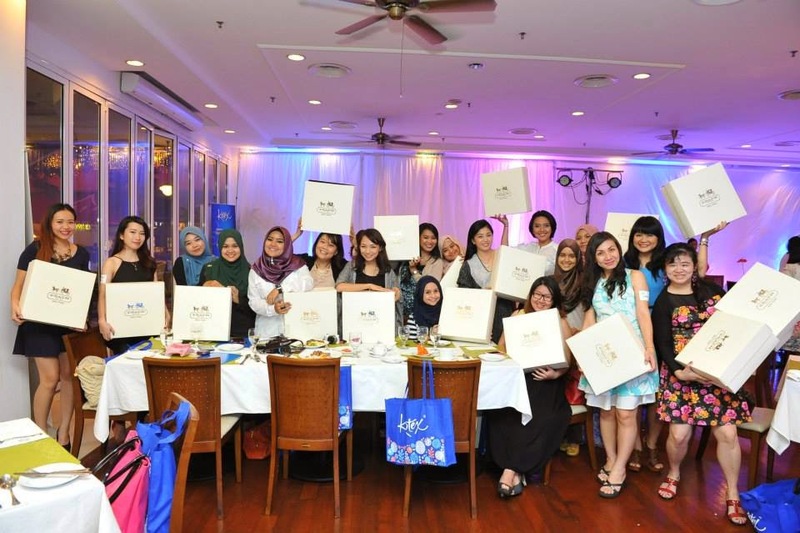 I felt thankful that our monthly women issues are being heard and thought about. New technology and innovation helps us in reducing our mess, and ensuring our daily life is not being affected. It's all about embracing womanhood with confidence. I'd rather go out and run about with things that I love to do, rather than hiding at home, fearing the "leak" to happen. 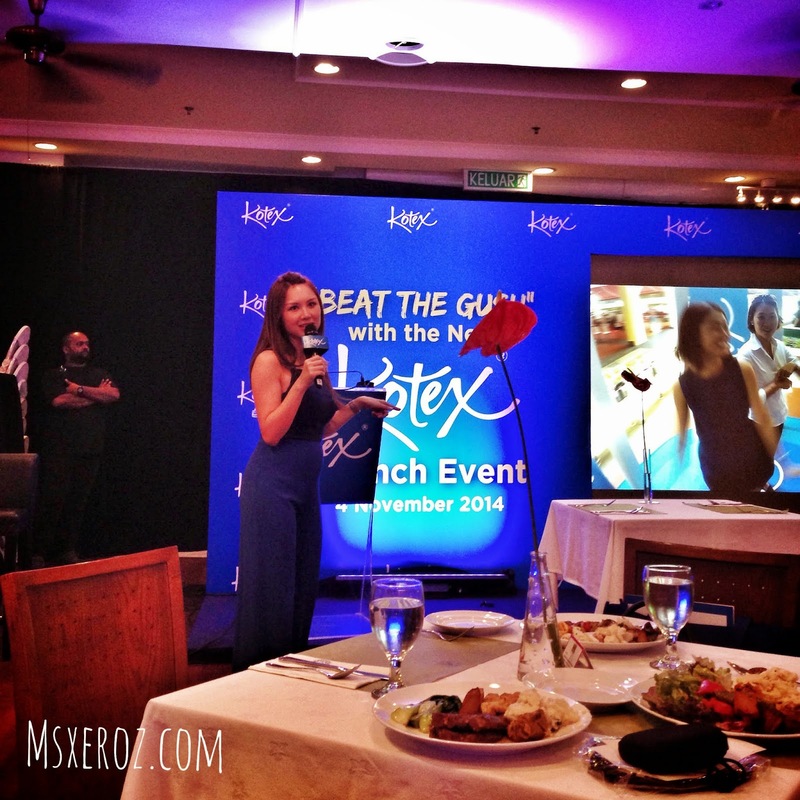 I have to thank Kotex Malaysia, for not only inviting me for this special launch. 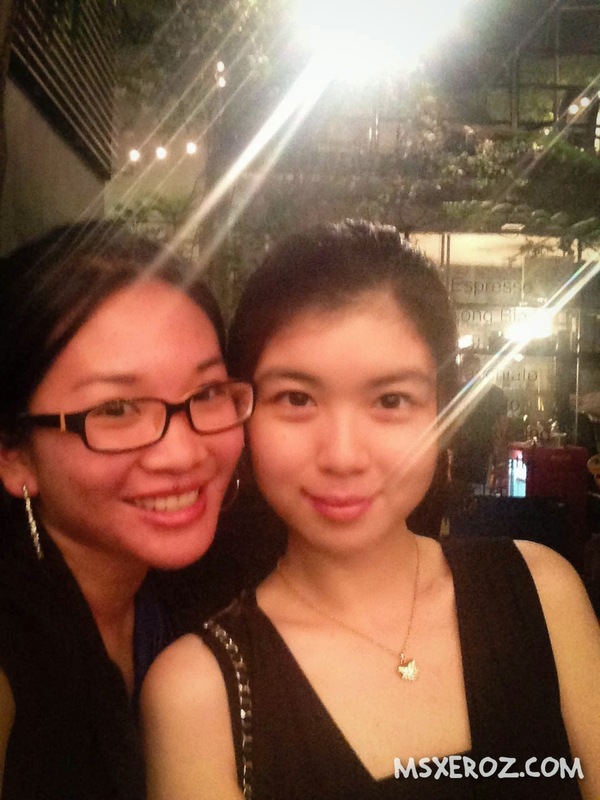 I am happy to be reunited with my long lost room mate from college years (10yrs ago!!!!). 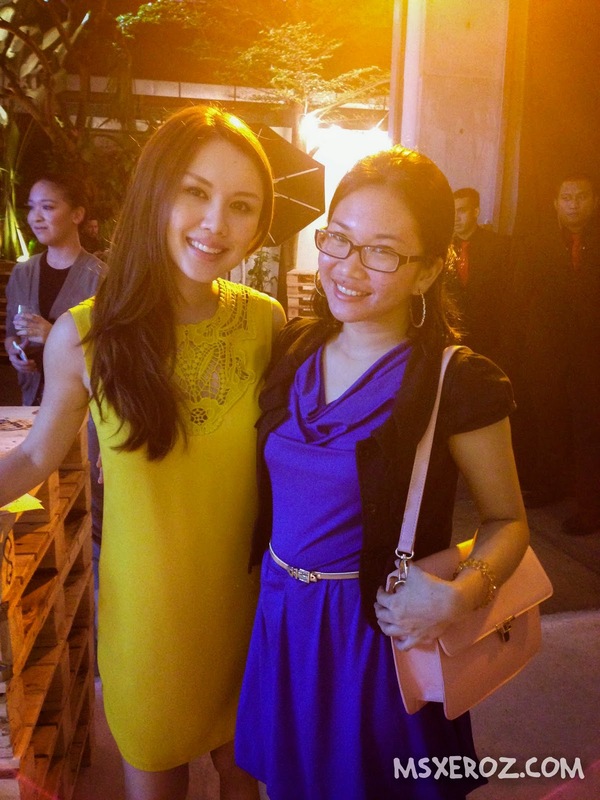 I am also happy to meet Diana Danielle, my favourite Malaysian Celebrity! 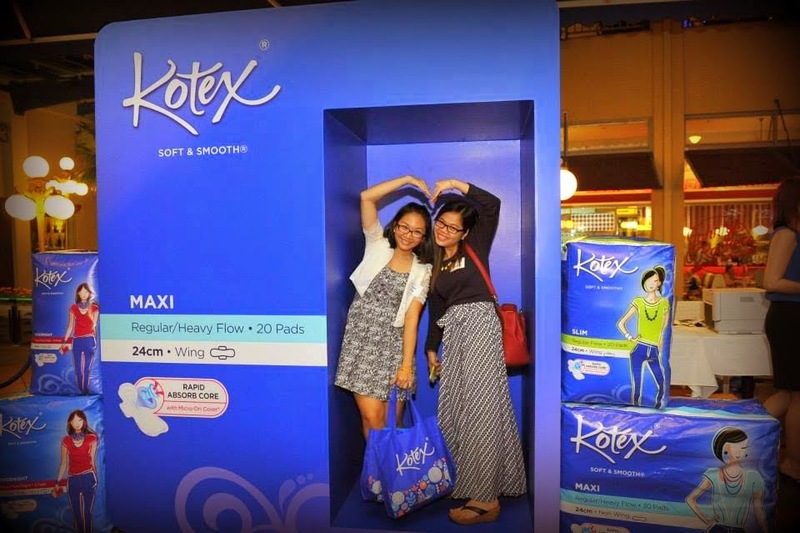 Oh ya, feel free to visit Kotex Malaysia Facebook page: https://www.facebook.com/KotexMalaysia for more information. 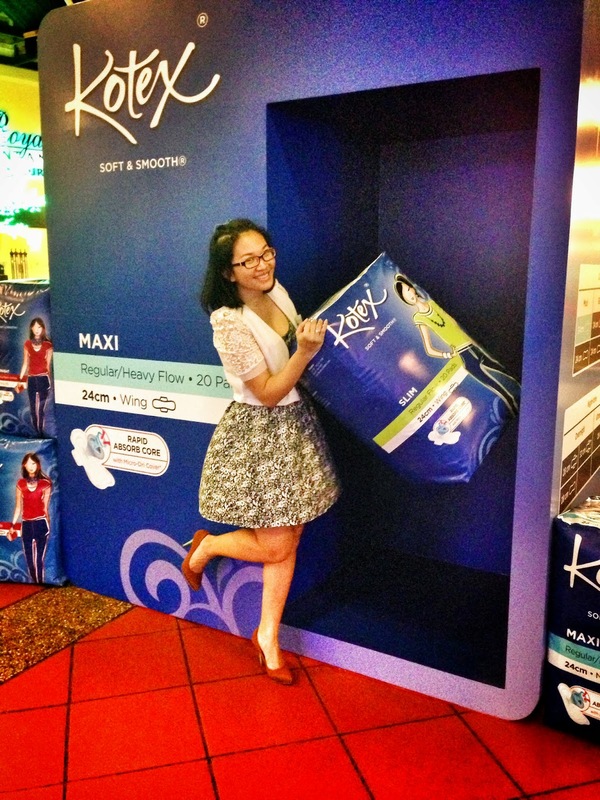 If I am not mistaken, they are giving away some samples for the All New Kotex Soft & Smooth. Go get your hands on them now! There's also the 360 Glam Cam Project coming up. 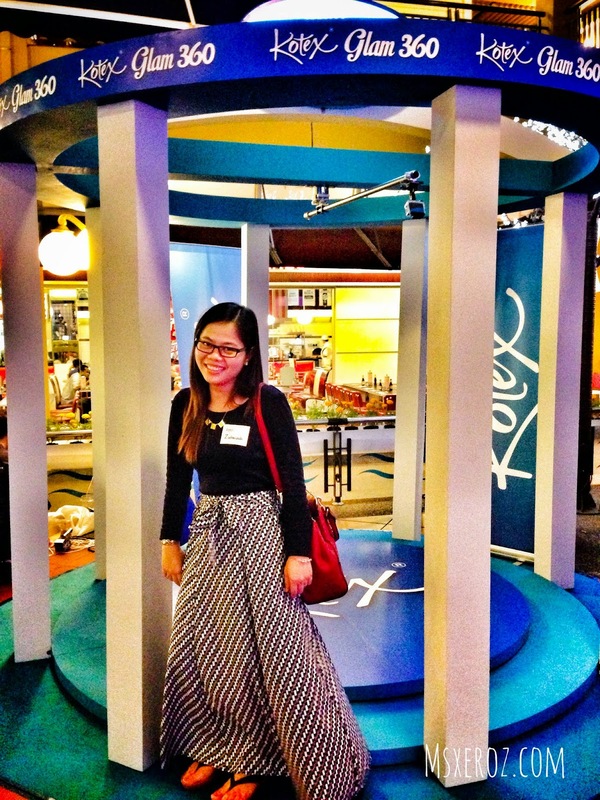 I did my spinning around in the 360 Glam Cam Kiosk that day, can't wait to see my funny face being published. Well, it's too late to regret, isn't it? hehe..
That's all for now. I'm ready for my next period! As Bintulu is an industrial town, there's not much sight seeing or things to do. 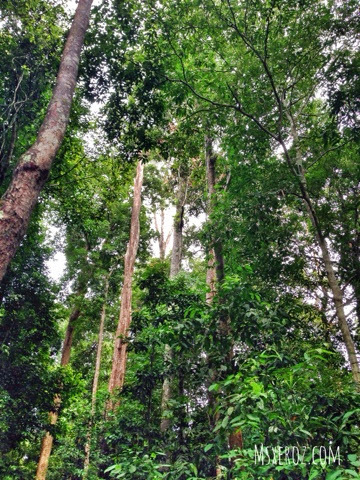 Around 2hrs drive away from Bintulu, (approximately 1hr drive away from Miri), lies the Niah National Park. With much excitement, my host brought us here. Road access is available, although we have to pass by a small kampung into this National Park. Entry tickets have to be bought at the new brick complex. The old wood hut buildings, are all vacanted. It is a very awkward place, showing signs of lack of proper management. The chalets, although looking proper, were not popular amongst tourist and left inhabitat like that. It was quite a sorry sight. Entrance ticket for Malaysians is RM10/pax, and there's a jetty. From the jetty, we need to hop on a boat to cross a small river. Each boat ride costs another RM1/pax/way (from 7am-5.30pm) and RM1.50 (from 5.30pm -7pm), which is super ridiculous in my opinion. Why cant they include a boat ride fee in the entrance ticket? If riding that boat is so costly, why not make a walkover bridge? That river is so small it makes us feel stupid to pay RM2 to cross it (while enter and exit)! It's just a mere 2 minutes boat ride!! Arriving at the other side of the riverbank lies even more dilapilated buildings. It gives an eerie feeling while walking through the buildings, i suggest tourists to come early in the morning, because i exited this place during sunset, and it really spooks me out seing those dilapilated chalets, tall unkept grasses, and my imagination ran wild. Walking into the national park was easy. There is a wooden pathway, and cemented road, which is slippery. Wearing proper shoes is a must. 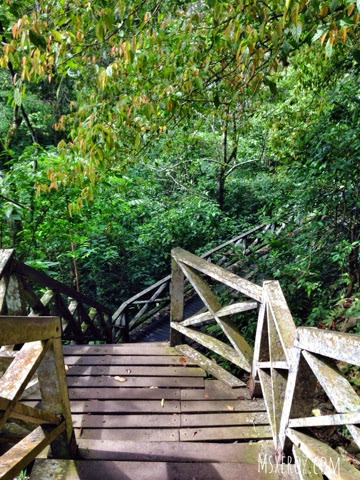 I almost slipped and fall many times as the woods were damp, and there are green mould covering the wood. 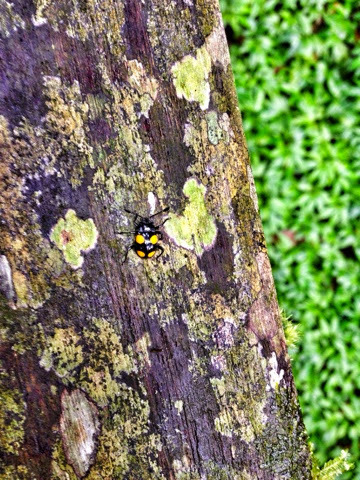 It's nothing i would complain of, as this is a rainforest adventure. 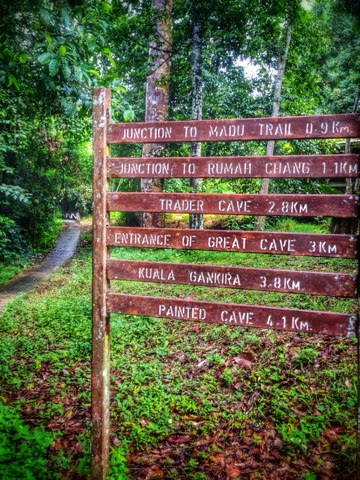 From the signboard at the entrance, we need to walk 3km before reaching the cave entrance. 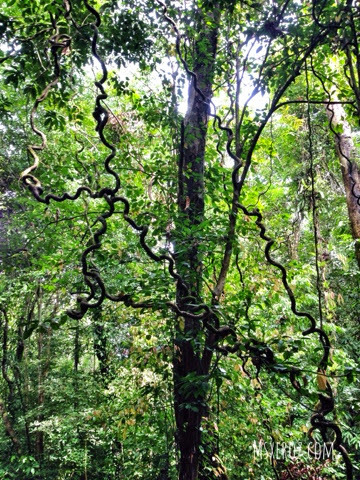 The 3km walk is filled with sights, scents and sounds of the denizens of the rainforest. Insects like centipedes, roaches, praying mantis and worms can be seen easily. 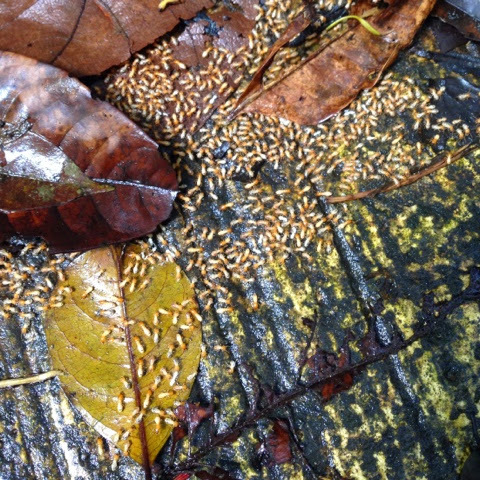 The white termites was easily mistaken for white sesame! I thought it was shaken off the tree during the earlier downpour! Haha silly of me, then these creatures wriggle around and oh my, it's alive!!! 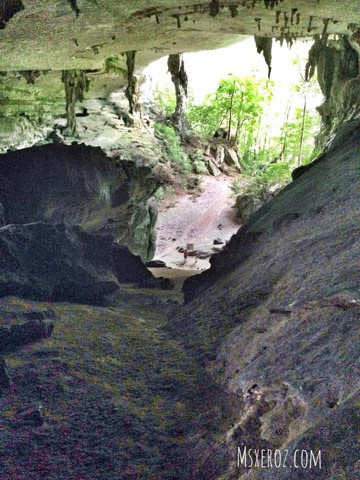 After a 2.8km slow walk (approximately 1hr), we arrived to the first limestone cave, called Traders Cave. Traders Cave got it's name for being the place the original people do their trading. 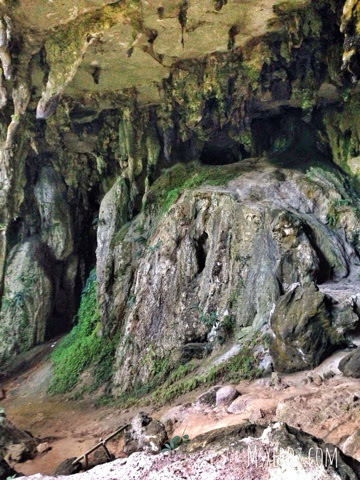 Many years ago, before civilization came, there are people who lived in these caves. 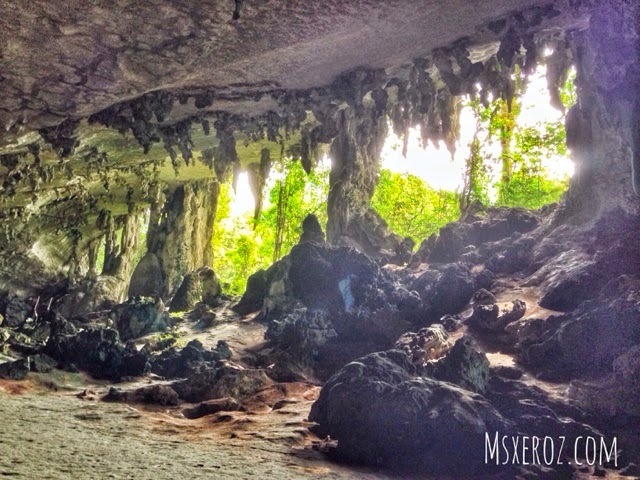 Niah cave came into the spotlight after human remains were found, hence became an archeological site. Trader's Cave is a huge opening, and until today there are stacks of bamboo which indicates the trading platform. Remember to bring torchlights, as there are places where no light can penetrate through and we have to walk in total darkness. 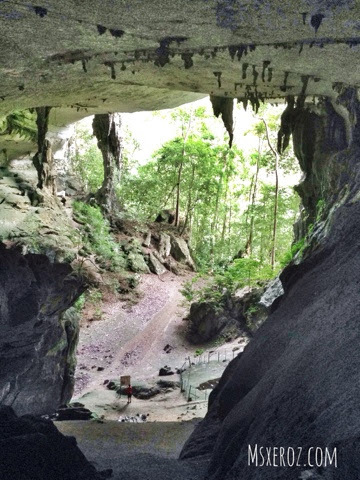 The limestone caves are enormous, but fret not, as long as we are walking along the wooden path, we will not get lost. 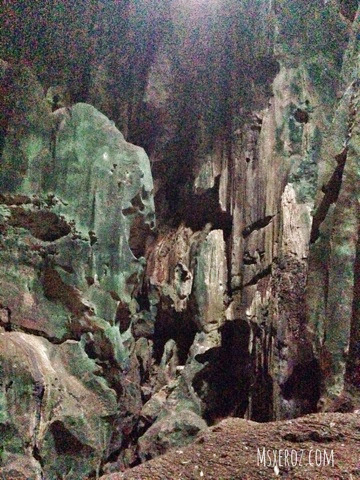 Our adventure in the dark was watched by the swiftlets and bats, residing on the roof of these caves. 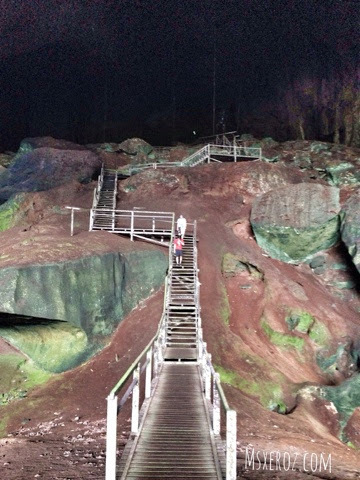 My iphone camera can only do so much under low light conditions, hence i am only able to describe how dark it was, and how deep down we travelled. 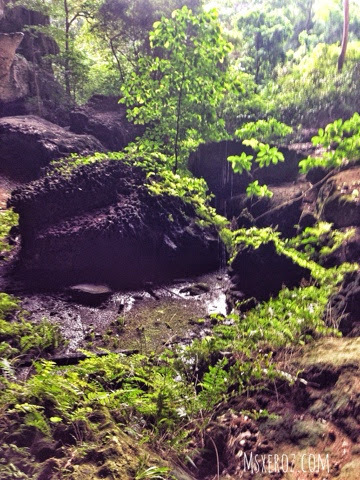 There are certain spots where it may be slippery, as there are water falling through the top. 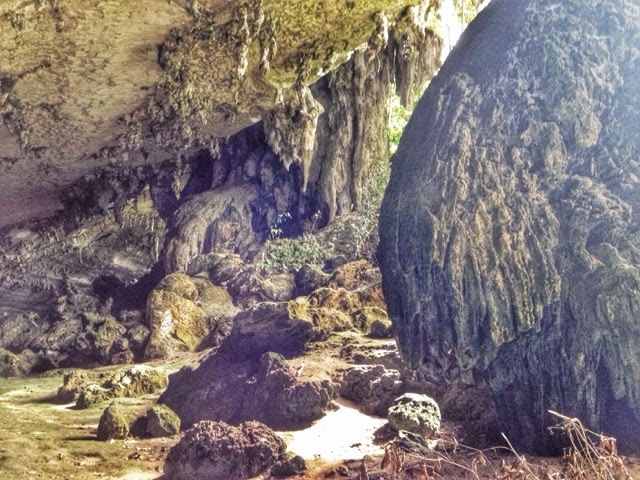 While admiring the limestones, we tend to wonder, how did those people survived? How did they find their way in and out? 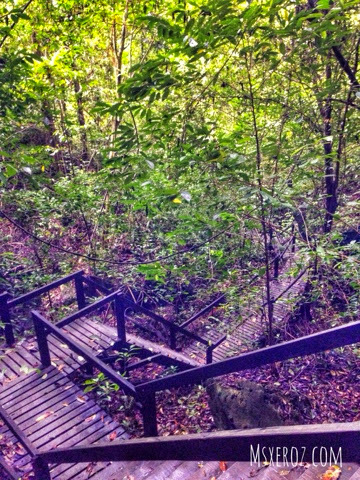 I also wonder, how did the people made these long stretch of wooden pathway for us. You have to see it to believe it! After walking in the darkness, i understand how it feels to see light! 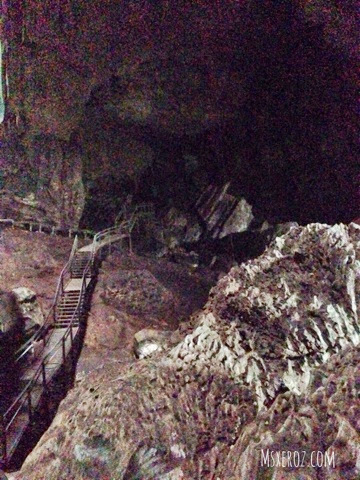 At the end of Entrance of the Great Cave, we need to walk about 500m more, to Painted Cave. This 500m was horrible to me, as i need to face my mortal enemy - The Stairs! My muscles have already ached by then, and going up to Painted Caves seems harder than reaching the heaven. Well, i'm exaggerating, that's for sure. My lack of exercise is killing me softly. 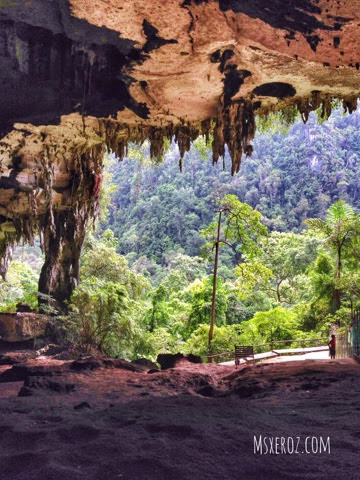 Painted Cave, is famed for the ancient cave painting. (Which had faded with time). I dont know what i was seeing. From the pictures display, i can conclude that there are monsters living in the forests nearby. The creature never seen before, hahahaha.... I'm not exactly an artistic person. 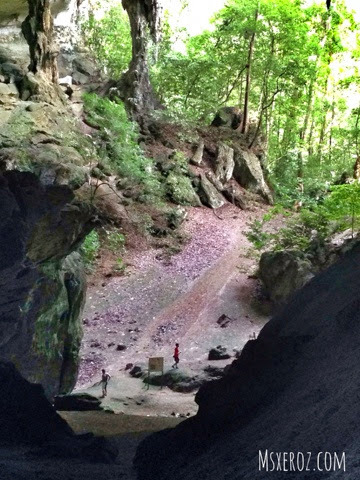 From the paintings, we saw something down there. Out of curiosity, we wanted to explore. But it was too steep for me, so i stayed up there. The guys went down, can you see how small are they? Here's a zoomed in version, just in case you cant see them. 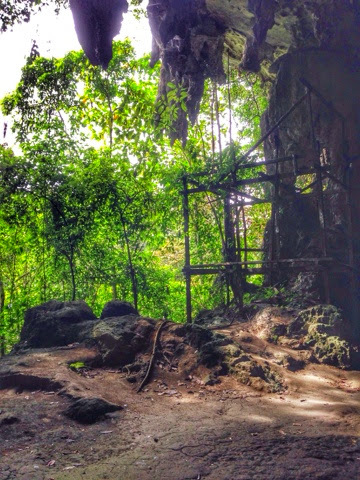 Painted Cave marks the end of the 4km Niah Adventure. We now have to make a U-turn in order to exit. 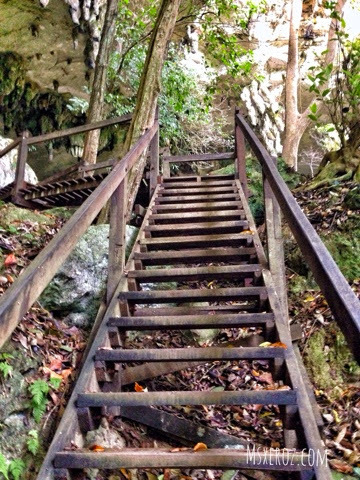 Stairs, and many stairs that i have to endure. We entered by 2pm and exit around 5.30pm. Overall, it is a pleasant adventure. I felt excited, amazed, and experience darkness and uncertainties. 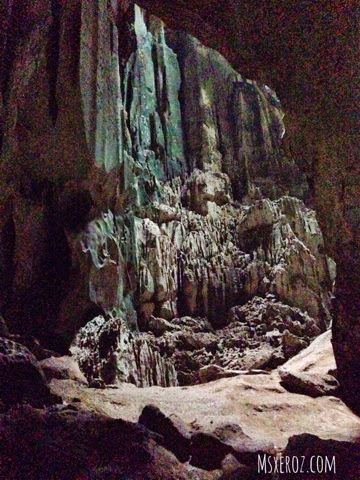 The darkness amplifies the surrounding sounds of bats, swiftlets, crickets and whatever else inside there. Would I go again? Yes, i want to bring a good camera, and powerful torchlights and explore once again. 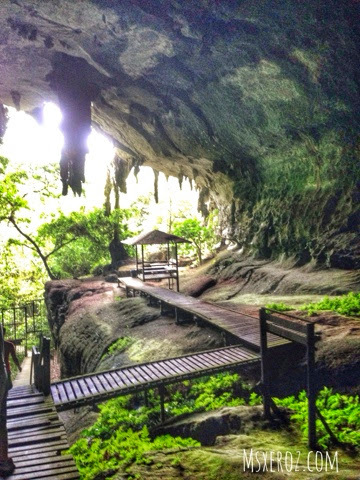 My newly found friends have told me about Mulu Caves, maybe i will plan a Mulu Cave trip next. Gotta wait for next year, as I'm running out of annual leaves already!